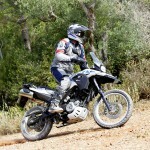 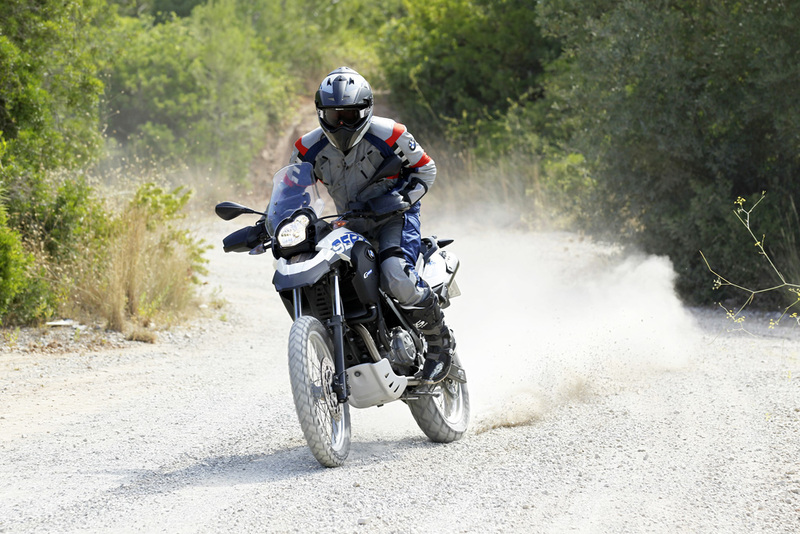 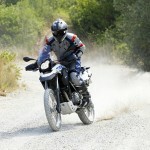 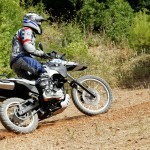 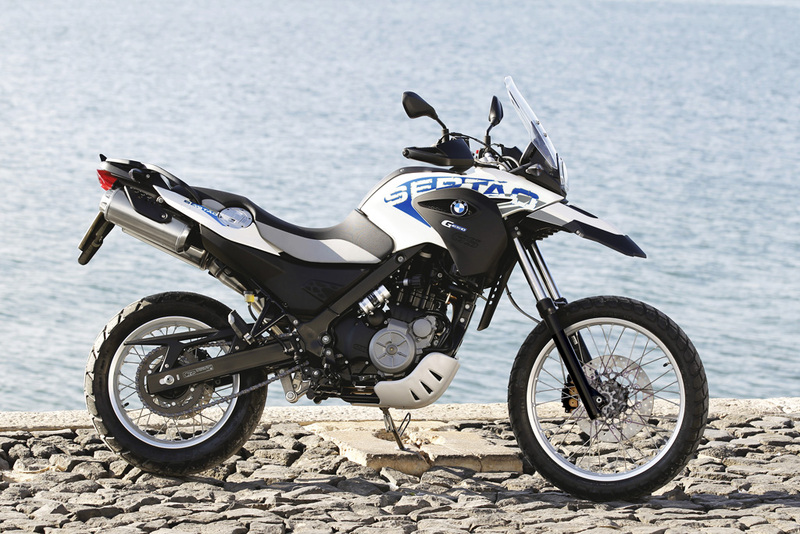 BMW has unveiled a new more off-road oriented version of the G650GS. 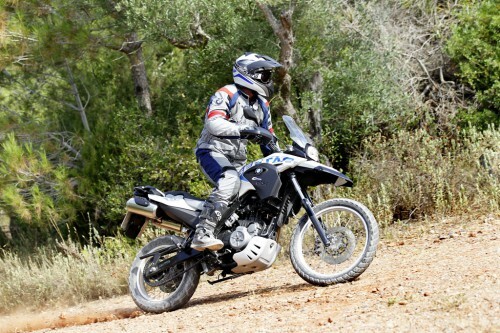 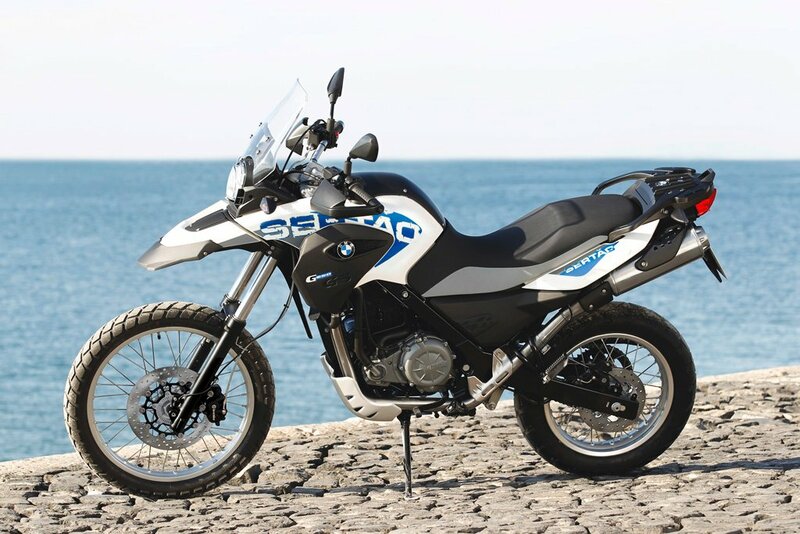 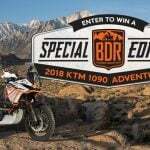 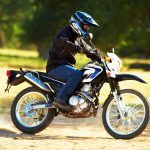 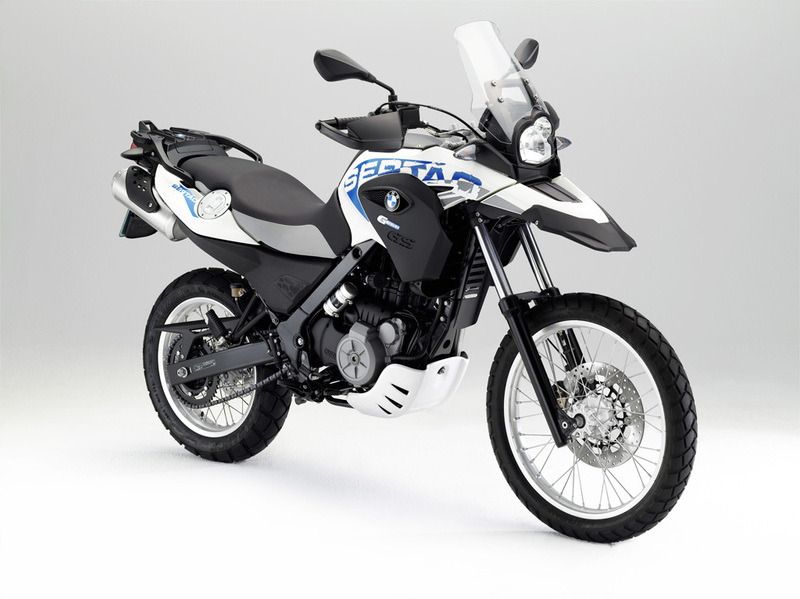 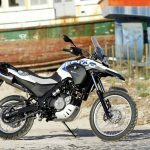 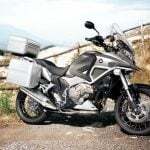 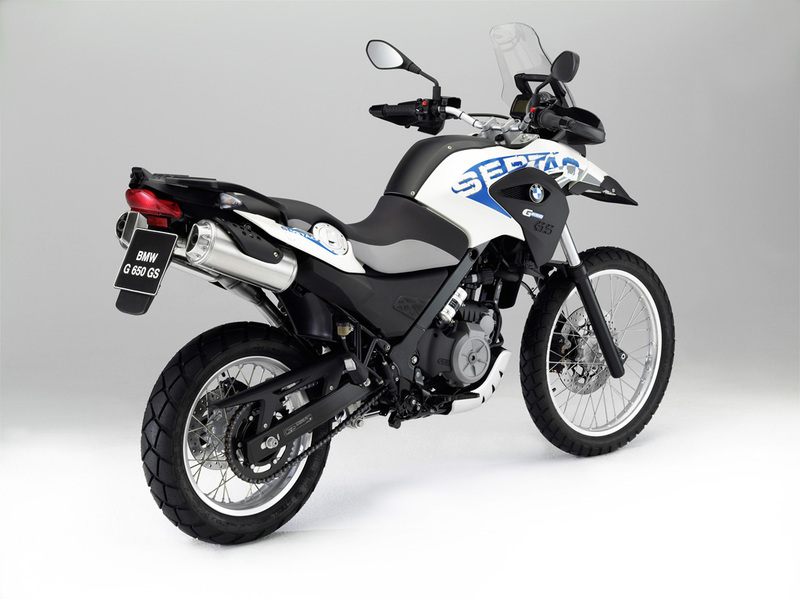 Named for a dry backlands region of northeastern Brazil, the 2012 BMW G650GS Sertão adds longer-travel suspension and wire-spoke wheels to make it a more capable machine for off-road adventure riding. The Sertão’s 41mm fork offers over 210mm of travel compared to the regular G650GS’ 170mm. 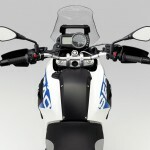 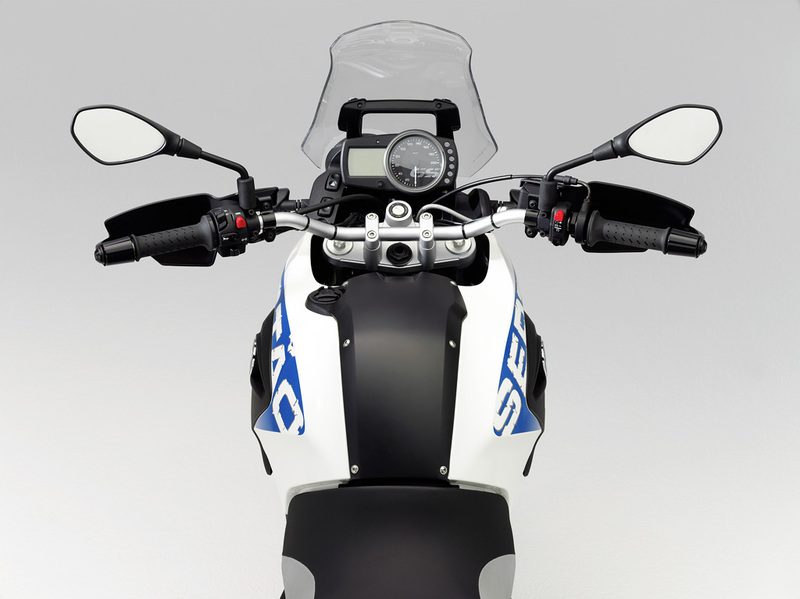 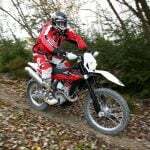 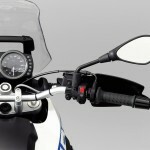 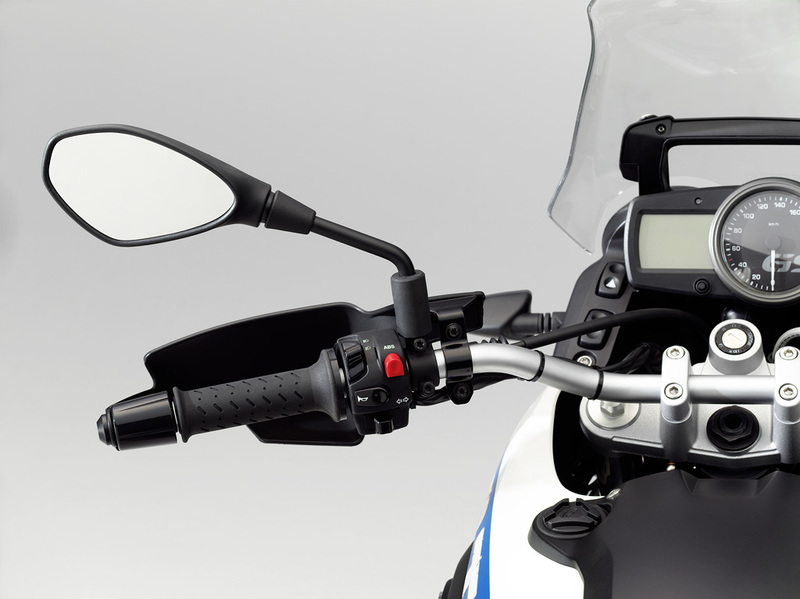 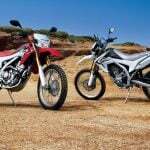 The rear suspension also offers 210mm of travel, compared to 165mm of travel on the base G650GS. 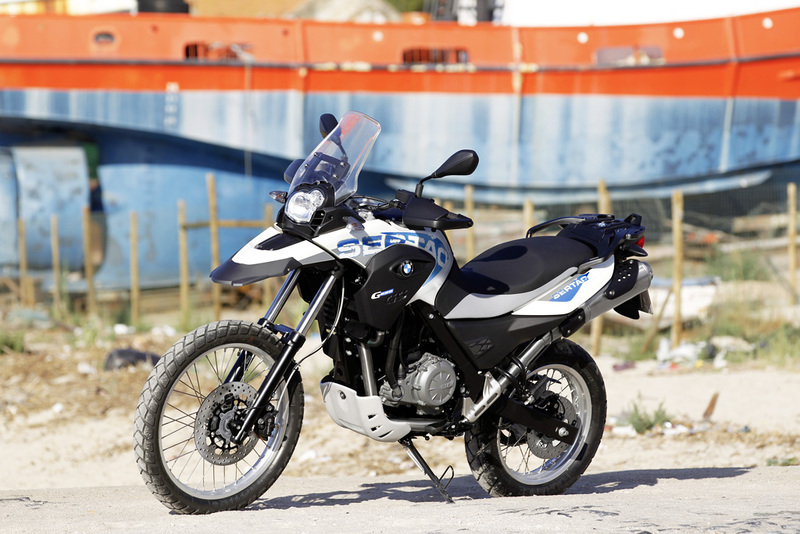 The Sertão also has a longer wheelbase at 1484mm, compared to the regular model’s 1477mm. 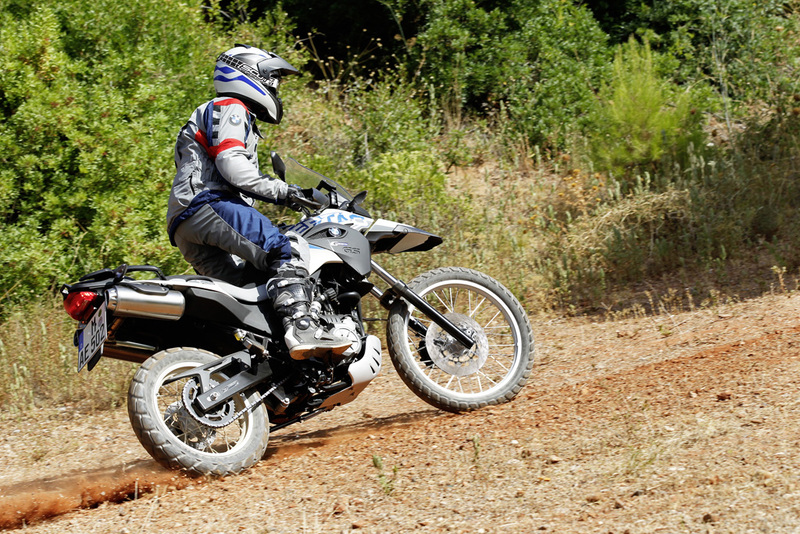 The G650GS’ cast alloy wheels get swapped for wire spoke wheels with a larger front rim (21 inches vs. 19 inches). 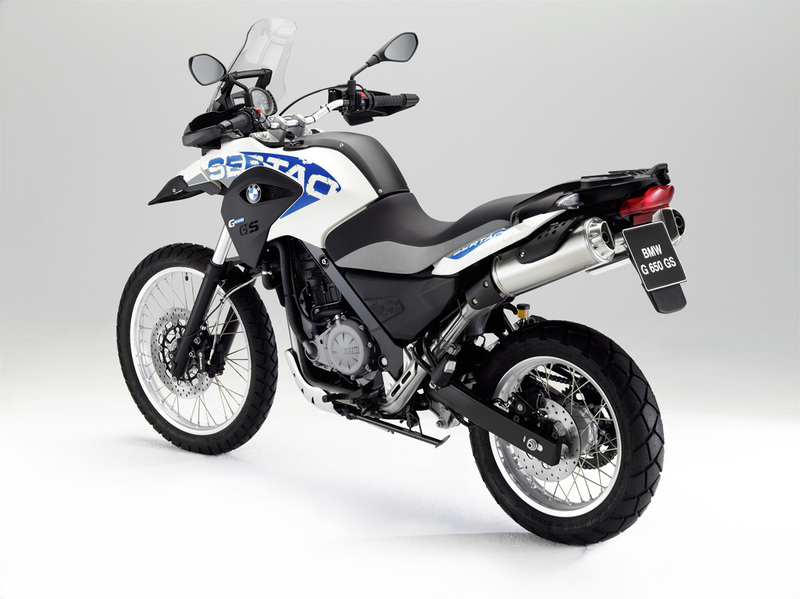 The larger wheel and adjusted suspension gives the G650GS Sertão a seat height of 860mm (33.9 inches) compared to the base model’s 800mm (31.5 inches). 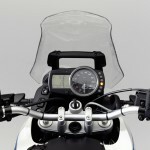 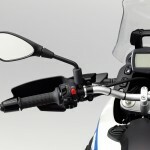 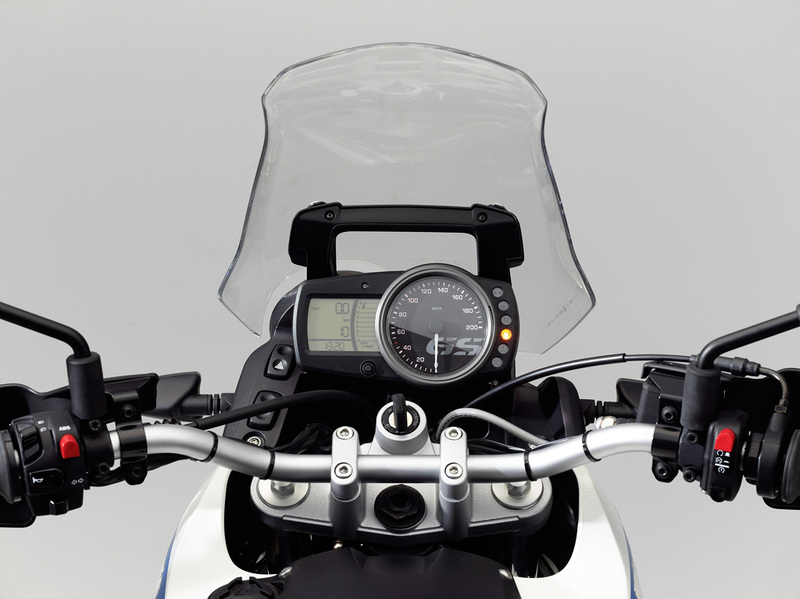 BMW is also offering a 900mm (35.4 inches) accessory seat for added height. 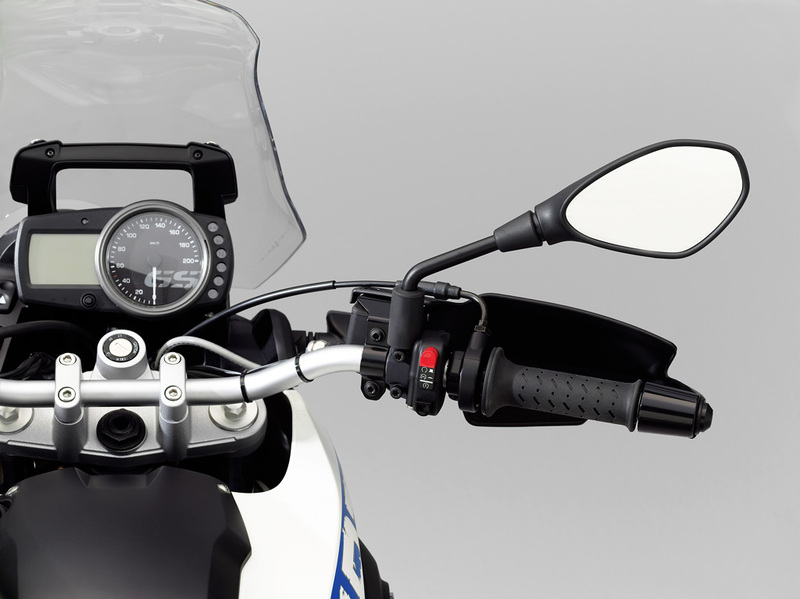 Other upgrades include a high windscreen, aluminum engine guard, hand protectors and a longer front wheel cover. 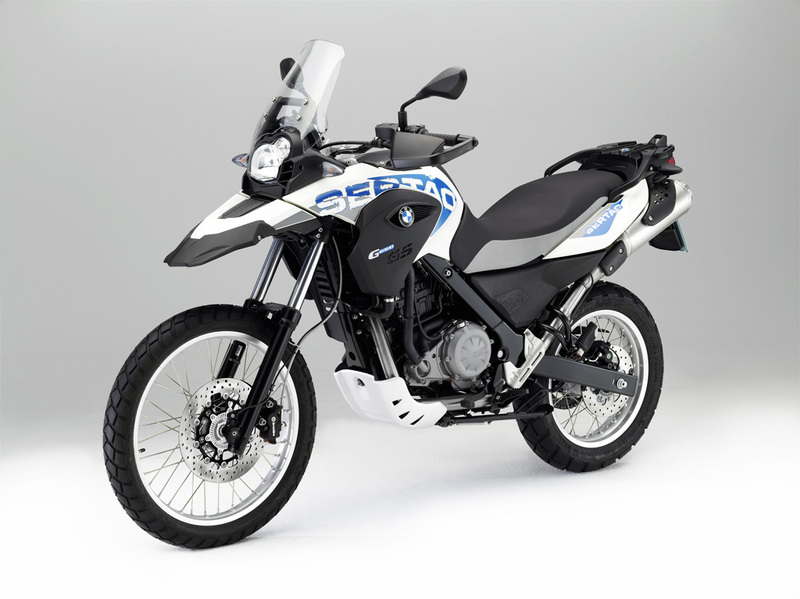 BMW also gave the Sertão an Aura White and Arroyo Blue color scheme. 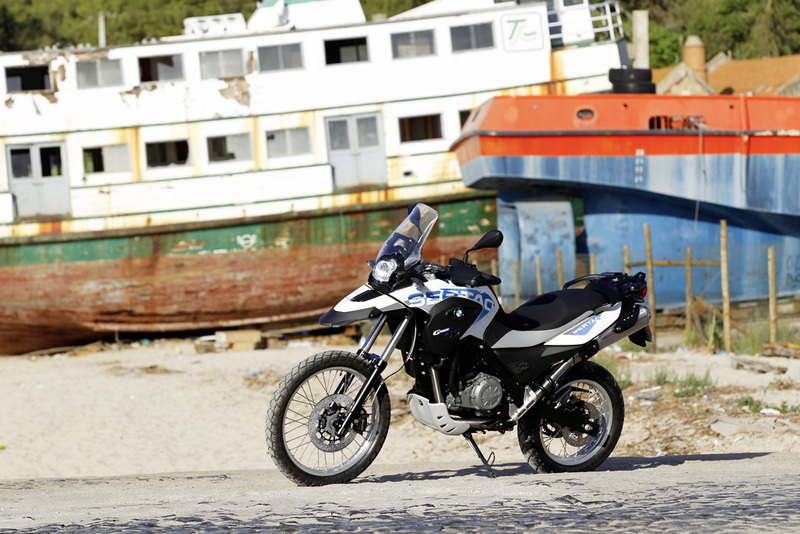 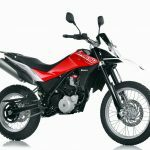 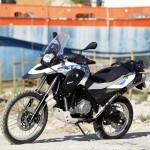 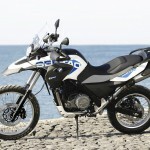 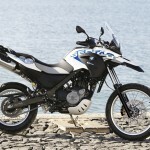 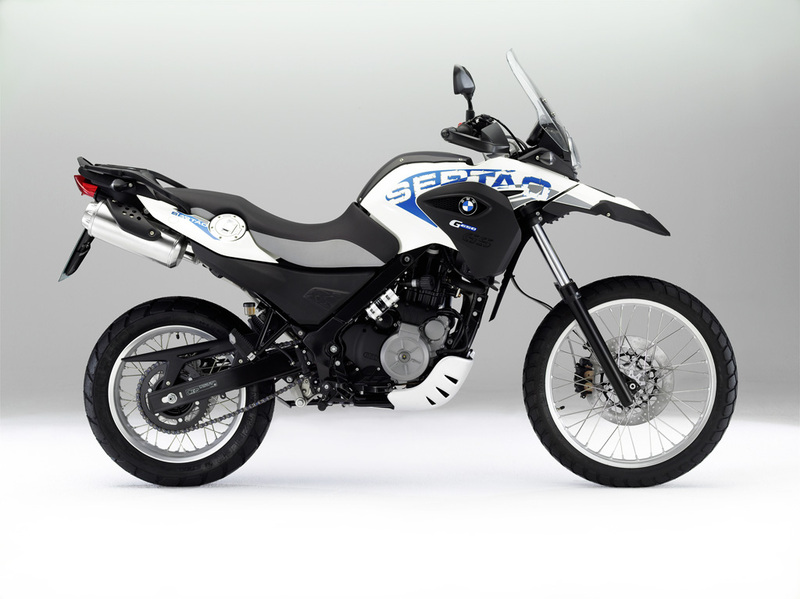 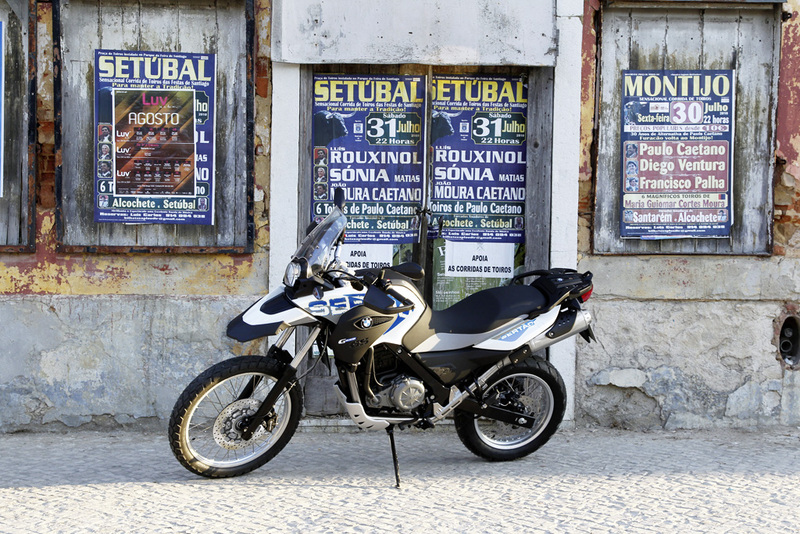 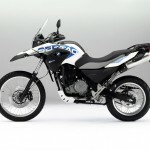 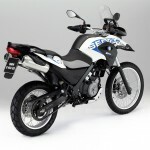 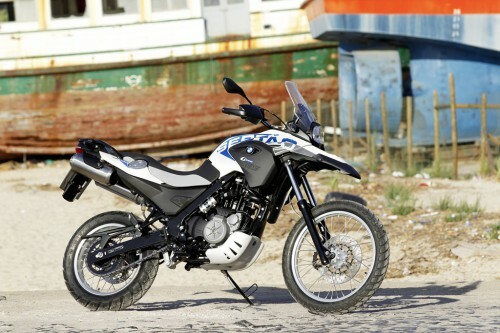 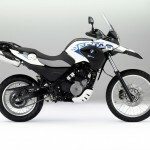 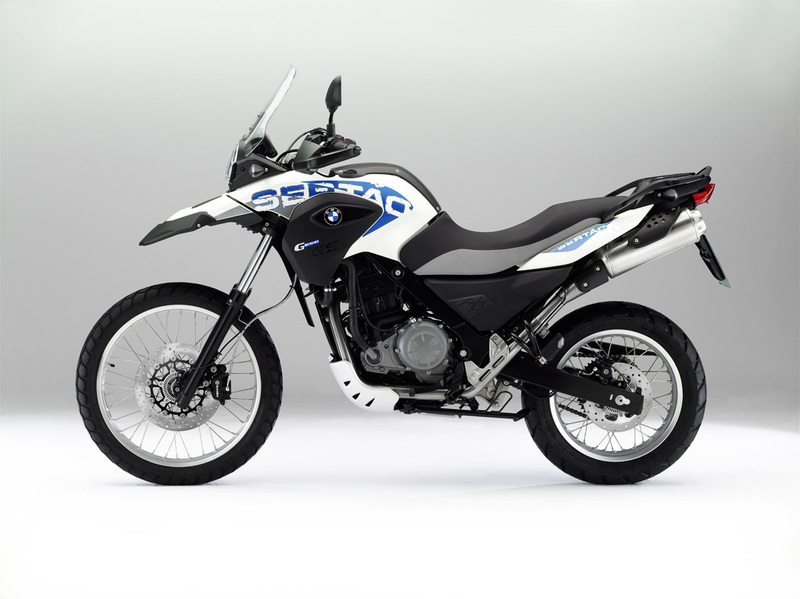 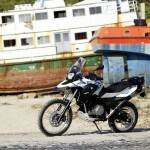 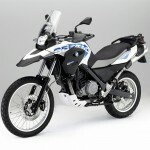 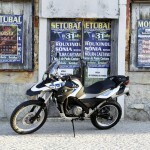 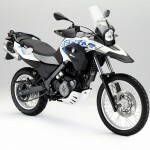 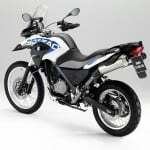 Powering the Sertão is the same 652cc Single of the base G650GS, claiming 48hp and 44 ft-lb.